Looking for the best WordPress themes of 2018? We’re finally getting settled into the new year, and that means that it’s time for a new you – or at least a brand-new theme for your WordPress website. As most creative-minded people know, the more stunning your WordPress site looks, the more professional you will appear in the eyes of your clients, customers, and would-be partners. The only problem is that there are so many wonderful options available, choosing just one can be a tricky decision for any site owner. With that in mind, we’ve done some of the hard work for you, by searching through some of the most amazing styles on the web today. We’ve already shown you some of the best wedding WordPress themes out there. Now, we’ve prepared a list of just some general 10 best WordPress themes to consider in 2018. Pre-packaged with the popular Visual Composer plugin, Weston gives customers the power to develop their content however they like it, making it our pick for the best WordPress theme for 2018. This theme also comes with the Slider Revolution plugin, which allows webmasters to build virtually any website they like. An image-driven theme perfect for sites that include a lot of creative images and photography, Pxlz is an artistic offering which comes with great integrations like blog templates, portfolio solutions, and WooCommerce integration. This theme has a simple and effective layout that’s perfect for startups. If you’re looking for wonderful user interactions and a responsive image that looks great on any mobile device, then you’re sure to enjoy all the benefits that come with Hestia. A simple but responsive theme designed for people who want to sell their wares online, Gather allows online companies to show off their work, sell products, and maintain an active blog too. As a WooCommerce-ready platform, Gather can get you up and running in no time. For a free WordPress theme, Talon is incredibly impressive. The header can work as a static image or slider, which gives you plenty of versatility with your design. When it comes to the best themes available for this year, this solution is simple and easy to use, and perfect for those in the creative space. This fun and colorful WordPress theme comes with plenty of homepage design choices to choose from. You can easily customize the system to suit the look and feel of your branding and use the powerful admin interface to adjust as you go. 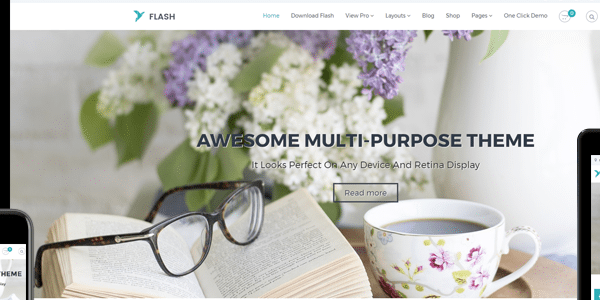 Free, fast, and responsive, the Flash WordPress theme is easy to use and packed full of features for almost any business. This unique theme is perfect for anyone interested in creating a professional and modern website experience. 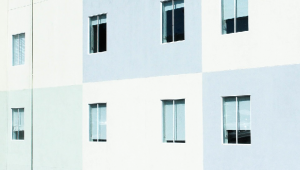 One top feature includes a great drag-and-drop page builder. A flexible and engaging theme designed around the open-source SiteOrigin page builder, Create 2.0 offers complete control over content creation and page layout features. As one of the best WordPress themes for 2018, this solution comes bundled up with the Slider Revolution plugin too! Another magnificent visually-focused theme with a range of featured image options and a responsive design, Greatmag is perfect for photographers who want to show off their skills. This theme also comes with social media buttons to help you build your online following, and there’s also advertisement space available too. Finally, the last entry on our list of the best WordPress themes for 2018 so far is Hayden, a pixel-perfect theme designed for people who need a way to show off their services and highlight their skills. Perfect for a simple but attractive web presence, Hayden brings the focus to your creative elements, like background images and portfolios. So, what do you think of our list? Will you be using any of these themes? We want to hear about your favorites below. And remember, you can always connect with us on Twitter and Facebook for more tips and tricks all week. Interesting post! All the mentioned themes are very well organized and the post is very informative. Cool Post! Thanks for your great recommendation of these wonderful themes.